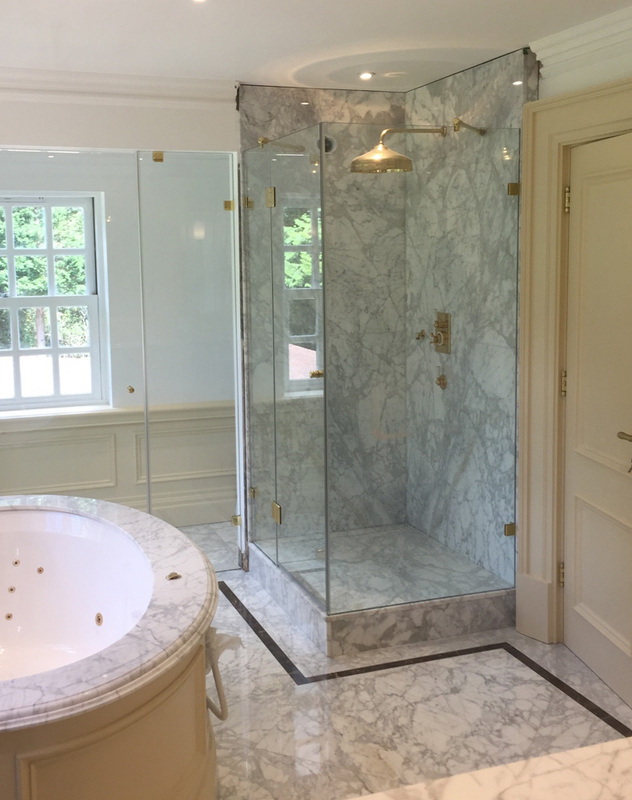 Since 1999, Showerpower™ have been delivering bespoke frameless glass screens and enclosures for the high end property development, corporate, retail and business sectors. From initial discussion to installation, all commercial projects are personally overseen by one of our own highly experienced project managers, backed by an employed team of CSCS registered and trained fitting experts who understand the requirements of working on a busy site. Showerpower™ handle all the stress and risk involved with ordering made to measure products. All our work is fully insured. Your clients benefit from our bespoke CAD system, with 3D renders of all enclosures, as well as glass manufacturing diagrams and hardware lists. This software permits incredible attention to detail resulting in perfect fit, no matter how unusual or challenging the target space. Thanks to our investment in personnel and technology, production can be mobilised at short notice, allowing you to offer your clients a quick response and short lead times. Contact us for a consultation on your commercial tender.